Best TV Stand Company Online Sells at Wholesale Prices! This Commercial TV Stand is in Stock and Ready to Ship to Your Business! This TV stand is a perfect TV stand for trade shows, retail stores, and malls. 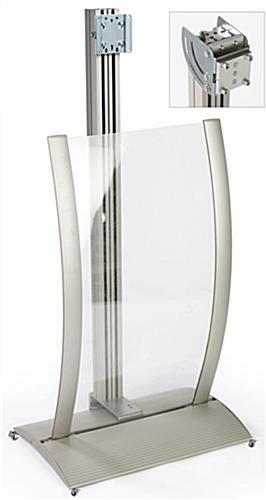 The TV stand has a curved poster frame that draws additional attention towards the stand. You can easily slide your poster into the frame with the (2) provided lenses down grooves in the frame. A TV stand uses a hollow pillar to hold the television up. Keep wires out of customers' view by placing them inside the pillar behind the (4) plastic strips. 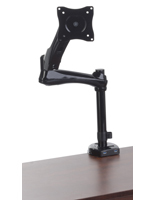 This LCD stand, TV stand comes with a 100 VESA bracket that fits a 12" to 22" LCD or plasma television, weighing less than 30 Lbs. 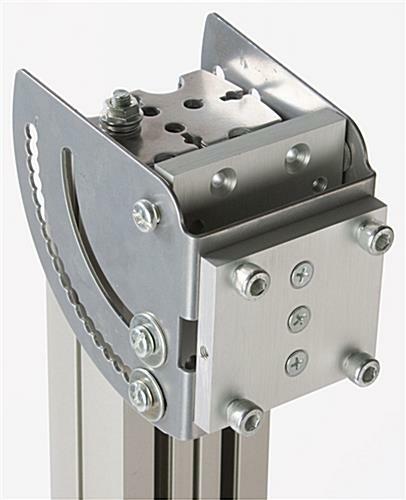 We include the necessary hardware to hang most televisions on this bracket, however some TVs will require other screws that can be purchased at your local hardware store. A TV stand, also known as a TV stand or an LCD stand, utilizes technology to better show potential clients exactly what your business is capable of. The screen stand, TV stand is made from rust proof aluminum. Perfect for heavy traffic locations, this durable aluminum has a satin silver finish, easily blending in with any setting. 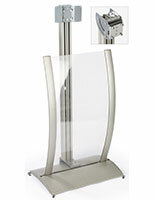 A TV stand, like a TV stand and an LCD stand, comes with a tilting bracket. Tilting brackets allow you to place your television at different angles, ensuring passersby have the best possible view. This TV stand, TV stand has a wide base, providing solid stability for the display. 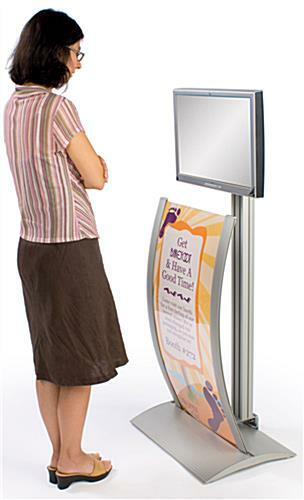 Place this TV stand either at your booth at a trade show or in your store and watch as potential customers stop and see what you're promoting.